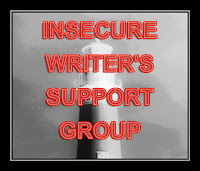 It's time for another Insecure Writer's Support Group meeting. IWSG was created by the awesome ninja captain Alex J. Cavanaugh, and you can find out the other members of the group here. Thank you for sharing your feedback on prequels last IWSG! The advice was really helpful, and at the moment I've decided I'd like to release the prequel and book one of The God Challenges around the same time. Of course, that's still a couple years down the road. But the advice I'd received had me thinking about prequels and particularly about Magna's Plea, a short story prequel set 800 years before Reborn. I like the story I created, don't get me wrong, but it could be so much more. I basically plopped the reader at the end of the story, like any good short story out there, but thoughts of the story's beginning and what led to the end swirled in my mind. I got excited at what was there, what I realized about Magna and her world 800 years before Yssa's in Reborn. Of course, when I published the short story, I didn't think of how to make it longer. It was what it was until I learned enough to know more. I feel like I made a mistake in titling the story. Magna's Plea is a perfectly good title, but I'd like it to reflect the other titles in the series. That led me to the idea of retitling it to be Repledged (it goes along well with Reborn, Remarked, Reforged, Reigned, and Redestined). Plus, I don't think I was as clear as I could've been that Magna's Plea is set within the same world as Reborn and has similar themes, but there is no overlap in characters, except gods. So, yeah, I could've done things better. So I am. 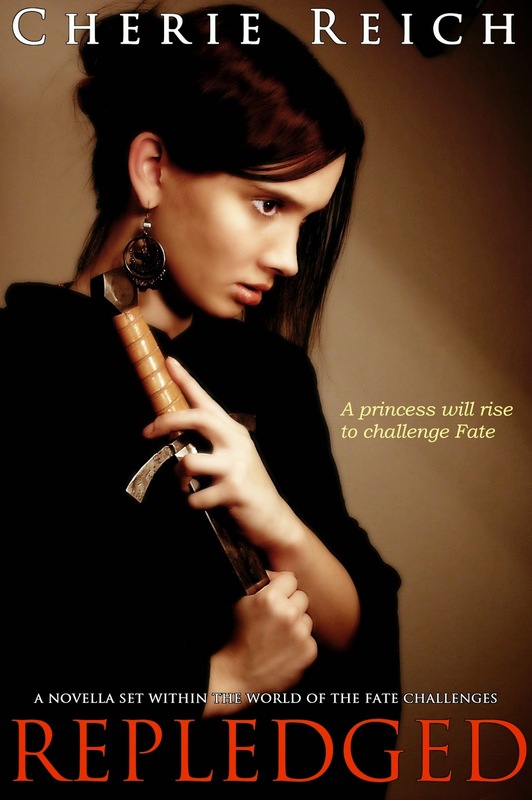 I've been writing Repledged now from new and I'm loving delving further into Magna's world as well as the history of the Kingdom of Amora. I've decided to take down Magna's Plea from all retailers. I've created a new cover from the old one, and once the new novella-length story is finished and edited, I will be republishing the extended cut of the story and offering it for free just as Magna's Plea was. That is the good thing about self-publishing. Not that I like to redo stories and prefer to have them right the first time, but when the opportunity comes along to make things better for the reader, then I have the chance to make the changes. So hopefully Repledged will be back online in the next few months. And if it's long enough, it'll even be in print (although print's not free). And starting today and continuing every first and third Wednesday through December 2015, I'll be releasing a chapter of Reborn on Wattpad. Today you can read the Prologue as well as Part I's quote. A few things: Wow, and Wow! Good for you for reworking the story. I agree, that's one of the benefits of self-publishing--so much more freedom to get things right. Best of luck to you. It's exciting that you are reworking the story. Good luck with it! And the Wattpad sharing is a great idea. It's nice that self-publishing gives you that option, although I suppose the danger is getting stuck on a story that you've already written rather than doing the next thing. This is also what I love about self-publishing. Yes, it would be better to get everything right the first time, but sometimes you don't, and having the chance to make it right is a great thing! It's so inspiring to read your updates. I really enjoyed Magna's Plea, and I'm sure that I'll like an extended version. I think that prequels can really work to help gain excitement for a series and a fantasy world. I'm headed over to Wattpad now. Wattpad is not something I'm familiar with but this venture sounds like an exciting move. I've had a story that I took down as well. It made me very nervous to do so. Was it the right thing? Would people be mad because they bought it thinking it was a new story when it was one they already read? Seeing others have made the same choice for their stories makes me feel way better. I'm not the only one who looked at a published story and thought something needed fixed or changed. Thanks. Something similar happened with my fantasy series. Fortunately, I hadn't published or anything, so it was much easier to deal with, as far as taking stories down and getting new ones up. It's great that you've had this idea and the opportunity to do something with it. I've done a lot of story changes, too. Now if I could just get to the publishing part. That's cool you are reworking the story. And smart to link all the titles. Glad my publisher was smart enough to do it with my books. I enjoyed Magna's Plea, so I look forward to seeing the new and improved version! And the Prologue was great! Clearly she'll be someone important! The wrath of the others could be dangerous though...good stuff! I haven't tried WattPad yet, but I've been considering uploading a story there before the end of the year. I'll have to stop by and check out Reborn. Thanks! You've brought up an interesting marketing angle with your titling choice. I think you're right. Adding the re- gives you continuity. Thanks for thinking out loud here. must be a blessing and a curse to be your own editor - we are usually harder on ourselves... but you have the choice of adding, changing, whatever you feel needs it! Reworking a story is an exhausting and exhilarating process. Good for you for taking on the challenge! The most important thing is that we as the authors are satisfied by the stories we are telling. Readers can feel when we are not and that's not good. Keep doing what makes you feel good! Best of luck! PS - Your Wattpad Wednesdays feature is a cool idea! Love the new direction with the titles! Being able to rework on your story sounds great too. Good luck! All the best to you. Yes, self-publishing gives creative control-the biggest advantage. I agree with it being the nice thing about self-publishing. Woot for remaking it into a novella! When I read the short I was fascinated by Magna's world. Can't wait for Reborn to come out! That is definitely true. My book was published by a trad. publisher and there's no changing it now. I try not to reread it because, no matter how many times you rework something, you'll always see something you want to change! Prequels are always fun! I'm glad you decided to write one. When I published my short story, Hurricane Crimes, I didn't know how to make it longer either. But after people started asking for more, I realized that my characters'stories weren't quite done. I started the sequel, which I am aiming to be novel-length, and have a series planned! Just one more reason to self-publish! Great idea, Cherie. You have the freedom to expand your vision and actually change what you already published. Will you be uploading all of Reborn on Wattpad? I love the new cover! Beautiful and very intriguing! It's great that you realized the story could be reworked and went with it. Good luck! Even Orson Scott Card rewrote Ender's Game, so you're in good company. I helped my blog partner, Paul R. Hewlett, rewrite his first book, and he's happy he did. I think you will be too. These days, editing takes a lot more of my time than writing does, so for IWSG, I shared a formatting technique to help make ebooks look right on different readers. Good to meet you! This is possibly the best news ever!!! I loved Magna's Plea and even said there was enough gorgeous texture and life there to make a longer story :) I'll be waiting on tippy toes for Repledged! I think serializing Reborn is a great way to use Wattpad. Good luck! Sometimes a new tile makes all the difference in the world. I LOVE the cover! Glad you came up with such a good solution! Creative control is a very wonderful thing to have. It's so important to get the title right. I love that you are going back and reworking your story. The new title is excellent- I think it is awesome how it goes with the rest of the series. It sounds like change is good! :) Best of luck! I like the new title. And I think is cool that your reworking it. I think it's great that you're reworking the story. I went across to Wattpad and read the Prologue. Very enticing. It's a unique (and cool!) benefit of self-pubbing to be able to rework stories like that. Glad you get the chance! 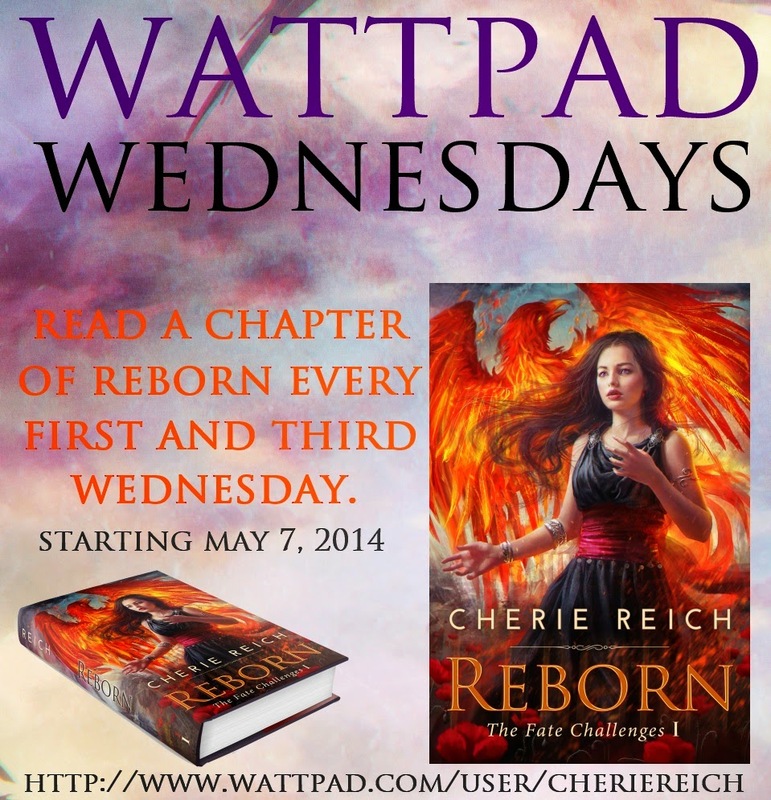 Wattpad Wednesdays is a very cool idea, Cherie. I learn more about my characters and their worlds as I write about them, and more than a few of my short stories are demanding an expansion or few. I'm glad we could be of help. I think that's the wonderful thing about self-publishing, that you can reissue something. There are many published books that could use some more tweaking and editing. Cherie, I'm so impressed by your creativity and productivity! And it's a great idea to have a Wattpad Wednesday. I'm going to go back and read Magna's Plea since I read Reborn. It's going to be fun delving into your world some more. Love the cover. Yeah! Self-publishing is way to go!